Trondheim airport, Værnes, is the third largest airport in Norway with direct ﬂights to/from 14 international destinations, as well as 18 domestic locations. Norwegian, SAS, KLM and Widerøe. 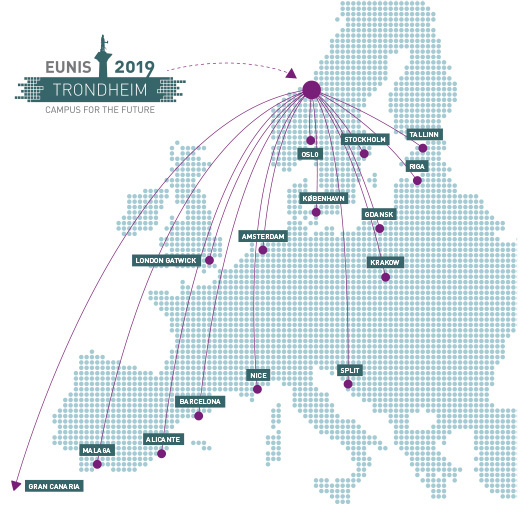 Trondheim is easily accessible either by direct ﬂights or connecting in European and Norwegian cities. Trondheim airport is located only 30 minutes away from the city centre, by bus or train.